Forward Motion will premiere a new work by Rob Funkhouser as part of Classical Music Indy’s Music in Nature series. Forward Motion will perform in the inaugural season of A Rising Tide - Indy Convergence’s performance project with a floating stage along the White River. Presented by Ash & Elm Cider Co.
Join us for our new monthly classical series, hosted by Eric Salazar & Mark Ortwein. Bring your instrument and play the classics! $1 off all Ash & Elm Products! Beer, wine, coffee, and other non-alcoholic drinks available! Forward Motion will perform at Ball State University’s Festival of New Music in March 2019 in Sursa Hall. Salazar travels with The Holy Echo to play in Chicago! Join us for an epic gaming night of Dungeons and Dragons with LIVE interactive music!! This one-of-a-kind performance includes interactive improvisatory music with the tabletop game of Dread. Salazar takes the stage with The Holy Echo (led by Chris Dance) at State Street Pub! This is not your Grandfather's Classical Show! Dig up some friends and shamble down to the best haunt in Indianapolis for a night of Halloweeny trivia so ghastly that you might be entertained TO DEATH! Radio Radio presents Beneficence Records Showcase event! Eric Salazar presents a recital of original compositions at Butler University’s Eidson-Duckwall Recital Hall. A day full of art, with a performance by The Holy Echo at 6pm. Join Doug Bielmeier (Lap-Steel), Eric Salazar (Clarinet), Michael Drews(Guitar) for an evening of New Experimental Electronic Music. 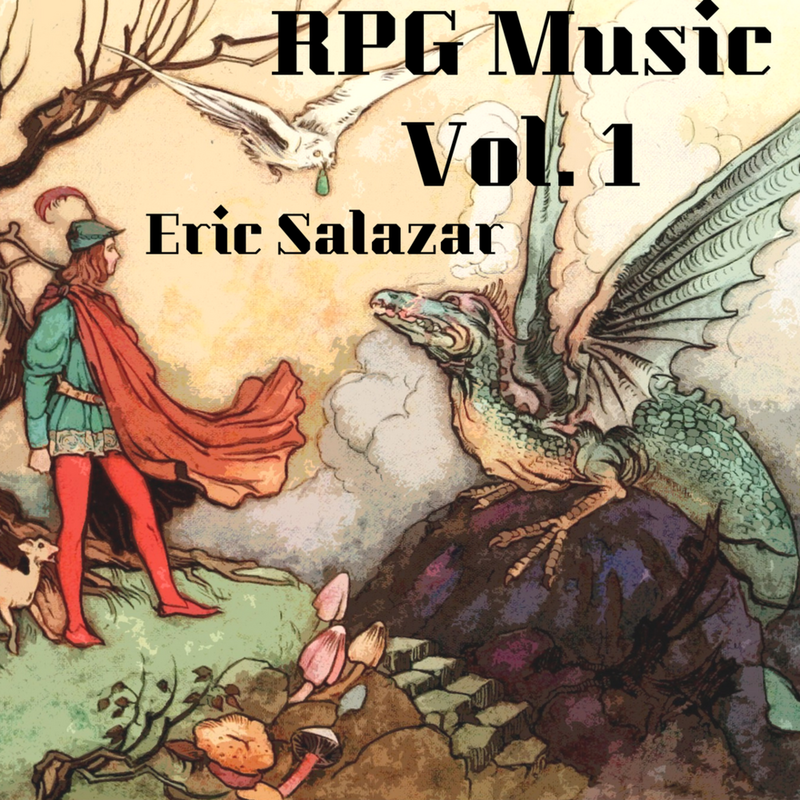 Eric Salazar joins The Holy Echo for a night a chamber folk rock music! Reflect & Release is an ambitious five movement work that makes use of unique textures and moods outside of what one might expect from a chamber music concert. Forward Motion will be playing at Eskenazi Health in the Eli Lilly and Company Foundation Concourse, thanks to The Marianne Tobias Music Program. Take your lunch with us and enjoy fantastic performances and artists in and around the building, food trucks, and tours of the shiny new facility! It's a grand opening festival, and you won't want to miss it! Speaker-less – An Evening of Down-tempo Electronic and Indie Classical Music featuring the vintage RCA LC-1A Speaker prototype. Since 2007, Trivia Brawl has rampaged through bars across Indiana, shattering conventions and brains alike in its quest to put on the best (or at least strangest) pub trivia gameshow you've ever seen, featuring multimedia tomfoolery, audience participation, and live performers. $5; All Ages; Fountain Square; Three Hole Punch is a music & arts festival fundraiser for the Gluestick Festival! Create 24: "Strengthening collaborations, advancing new work"
Come laugh it up at this post holiday comedy feast! Call & Response is a Jazz and Improvisational music series in Bloomington, IN. Join us for some non-denominational boombox caroling with Phil Kline’s Unsilent Night! Forward Motion and Rob Funkhouser will perform a concert at Grove Haus following Phil Kline's Unsilent Night.